Internet in the home is a must have these days, especially with online banking, paying bills, ordering your weekly etc. and more and more devices being connected; tablets, phones, television, games consoles and even fridge freezers. But what do you do if you can’t get a reliable wireless connection? 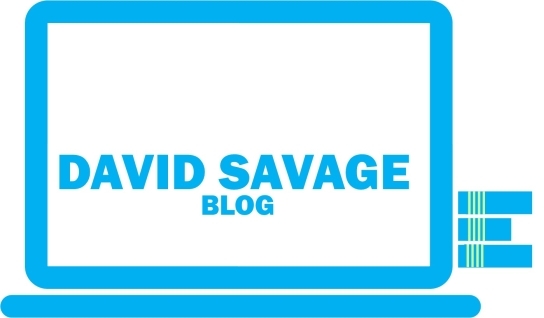 In my house, wireless connection is not the best – even with the router in the same room as the laptop I have still had to run a cable around the room to have the laptop hardwired for a more reliable and stable connection. This wasn’t a big deal. My real problem was connecting the television in the bedroom to the internet. A wireless connection in the bedroom was non-existent, so I bought a wireless extender which solved the problem, except when weather is bad (and in Manchester that is often the case). 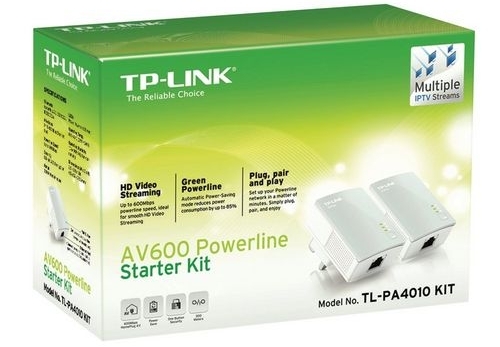 I have been trying out the TP-Link AV600 Powerline Starter Kit that uses the existing electricity cables in your house to deliver an internet connection through the plug sockets, enabling an internet connection in any room in the house. This is a far superior connection that my unstable wireless connection with the wireless extender could deliver. As mentioned earlier I received the TP-Link PA4010KIT AV600 Nano Powerline Starter Kit. This kit contains 2x 600Mbps 10/100 Ethernet Powerline ports, 2x 1 metre Ethernet cables and instructions. Each powerline has 1 ethernet port on it. The idea of the powerline is that is turns every 3-pin power socket in the house into an internet outlet, so as long as the device you are using has a ethernet port (there are also versions available that act as a wireless extension as well, you can see more here) you can plug into the box and get internet. An excellent idea. In case you are thinking that it sounds complicated to set up and use, it really isn’t. In fact, it could not be simpler; just plug in and you’re good to go. I was going to use the powerline with my television in the bedroom. While it is a Smart TV and has a wireless connection, the signal isn’t great. I then plugged one of the powerlines into a plug socket near my router and used the supplied ethernet cable to plug into the router. I then plugged the other into the bedroom and again used the ethernet cable to connect the powerline to the ethernet port on my television. The two powerlines automatically detect and pair to each other, no configuration needed. My television is now receiving an uninterrupted internet connection, so I can watch Netflix and Amazon Video without any signal loss. 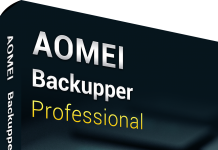 The powerlines also feature 128-bit AES encryption built-in to them to protect your data. I have been using the powerlines for a few days streaming video (SD and HD) to the television in the bedroom and haven’t had one dropped connection. The powerlines can work over a distance of 300 metres so with work in every room in my house. They are also equipped with a power saving mode, so when they are not in use they reduce their power consumption by up to 85%. Should you require more connections other powerlines can be added to the network to give you connections in other rooms (as long as on the same electricity fuse board). Overall, the TP-Link PA4010KIT AV600 Nano Powerline Starter Kit is an excellent piece of kit to extend your internet connection into other rooms with no fuss, no cables running throughout the house and not relying on a wireless connection. 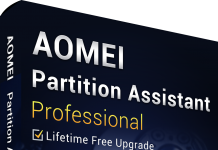 They are suitable for streaming tv, movies and music, gaming and home networking needs. 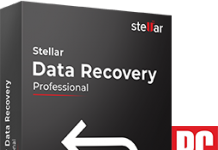 They are extremely easy to install with no configuration need so anybody can install them in minutes. 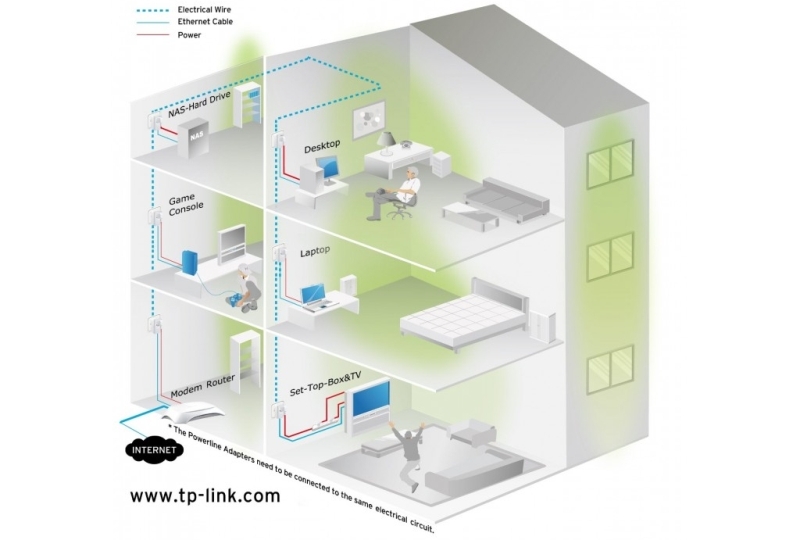 I love the powerlines, an inexpensive and easy way to get a secure and stable internet connection into other rooms in the house. Available to buy in-store or online from www.maplin.co.uk. 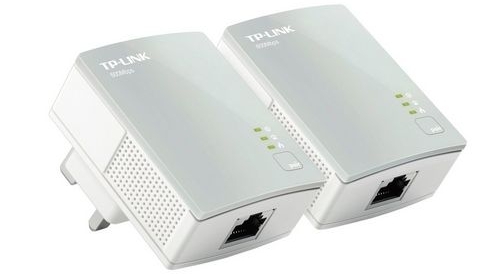 DISCLOSURE: I was provided with the TP-Link AV600 Powerline Starter Kit for free for the purposes of writing an honest and impartial review. All opinions are my own. Next articleAre You Getting The Best Deals On Your Home Subscriptions?